This is a program created for PROCJAM 2018. 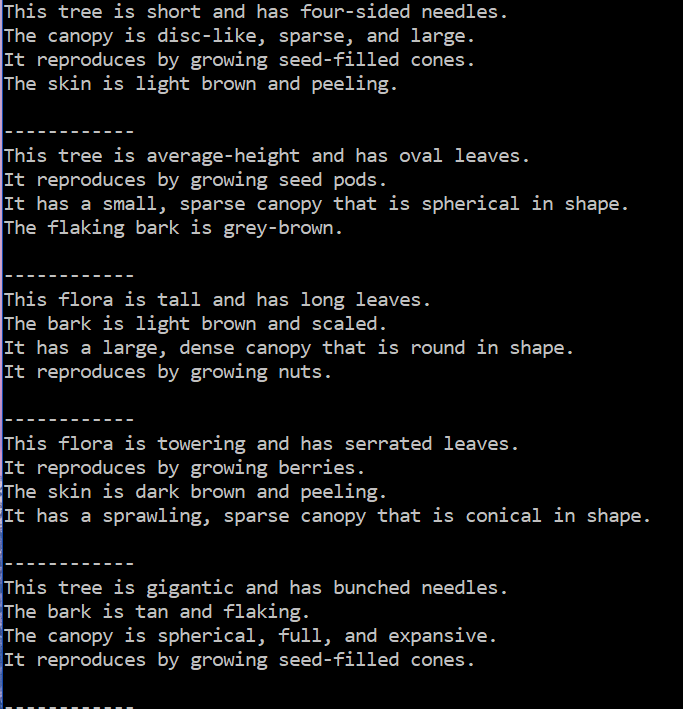 It randomly generates descriptions of trees using Improv. 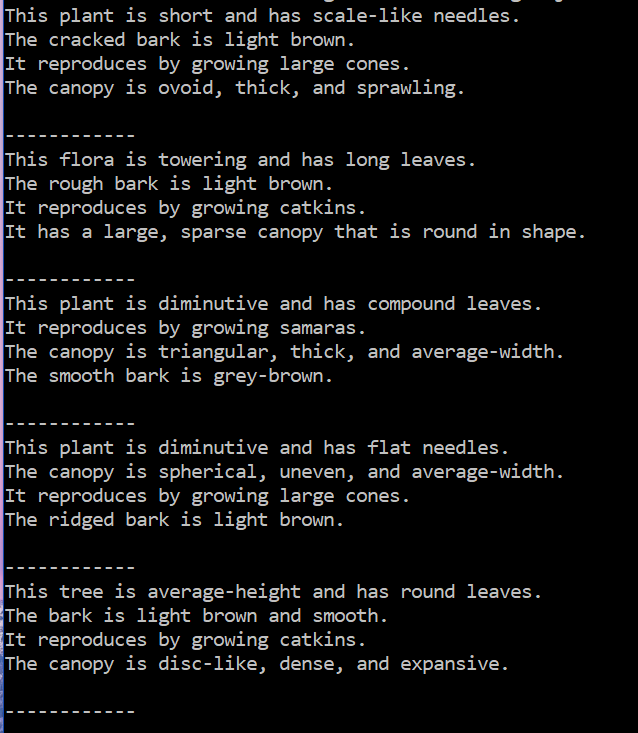 In version 0.2 further details have been added including canopy shape, bark description, and mode of reproduction.